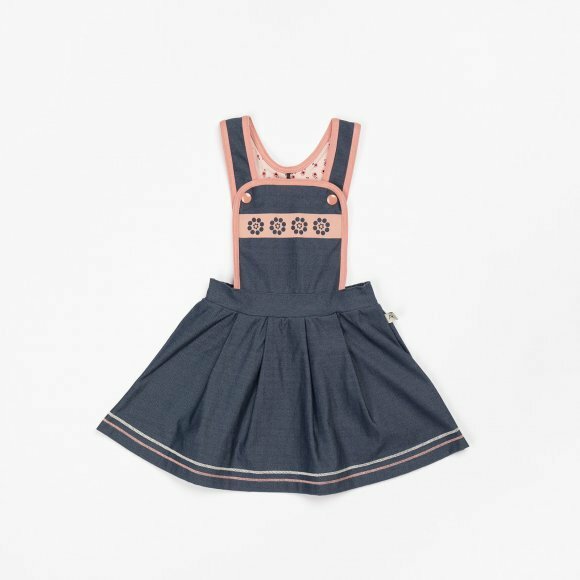 An adorable pinafore with a pleated circle skirt made from a soft denim-like material. Cute flower details are printed on the front withe rosey-pink stitching details. 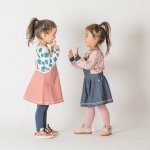 Two buttons are on each shoulder strap for easy dressing.